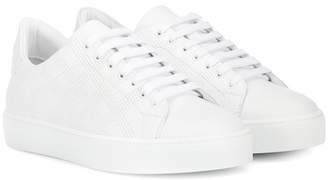 Low-top buffed leather sneakers in white. Round toe. Tonal lace-up closure. Padded tongue and collar. Rubberized logo in white at metallic leather heel tab in gold-tone. 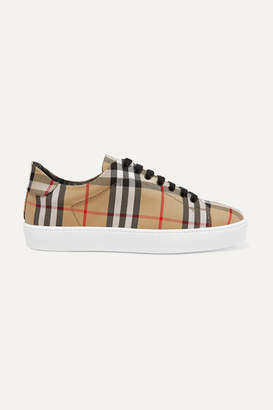 Textured rubber sole in white. Tonal stitching.